SoundMagic E80C review | What Hi-Fi? 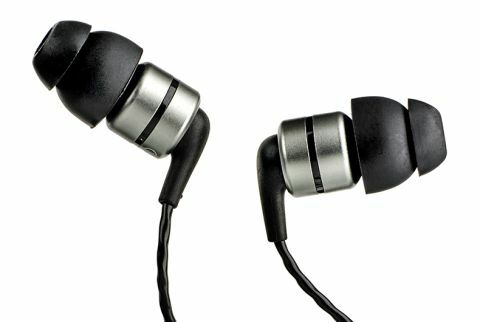 Following on from the success of the Award-winning SoundMagic E10Cs, it’s the turn of the E80Cs in-ears to make their mark in the overpopulated headphones market. At £80, the SoundMagic E80Cs are double the price of the E10Cs, but do they deliver a better performance for the money? Clear, solid and open – those are our first impressions of the E80Cs. Play Semisonic’s Closing Time, and the vocals, guitar strums, and keyboards all come through loud and clear. A decent amount of detail keeps you listening, and the outlines of notes and instruments are cleanly defined. The headphones are organised enough to handle the sweeping orchestral compositions of Michael Giacchino’s Star Trek Beyond soundtrack, with horns bleating cleanly above the thump of big drums. There’s a good deal of solidity running through the sound, but we’d like a more timely and articulate approach from the E80Cs. At this price, the Award-winning Sennheiser Momentum M2 in-ears easily best the SoundMagics with a richer, more nuanced and dynamic performance that’s more engaging to listen to. Play Closing Time through the Sennheiser in-ears, and you’ll hear more detail, more harmonies and more satisfying dynamism flooding through each note. The Sennheisers’ warm, full-bodied presentation throws the E80Cs’ hard edges into the spotlight. There’s a brightness to the in-ears that never quite goes away no matter much you run them in. The strong bassline driving the funky beat in The Cat Empire’s Fishies sounds playful through the Sennheisers – it bounces and twangs and is full of life. In comparison, the SoundMagics lack the outright precision and pizzazz to fully convey all the textures of that taut low end. On their own, you won’t find much to complain about with the SoundMagic E80Cs – they’re perfectly enjoyable to listen to thanks the upfront, easygoing manner in which they deliver music. But it’s only when compared against the Sennheiser M2 in-ears that you notice the rich details that you’re missing out on. SoundMagic tends to take an evolutionary approach to its in-ear headphones, with little tweaks over the years adding up to the honed design you see in the E80Cs. The in-ears are light, small and there are nearly a dozen eartip choices included in the box to make sure you get the perfect fit. It’s easy to get a good, comfortable seal that gives you the best bass performance while also staying secure in your ears. The cable is thin but sturdy, and doesn’t twist up even when we stuff the E80Cs unceremoniously into our pockets, or store inside their hard carry case. The angled 3.5mm jack is a nice touch too, and the metal details give them a sleek look that feels appropriate for £80. The E80Cs are also now fully compatible with all smartphones. Previous incarnations of the range (such as the E10S/E50S) had a bulky switch that you toggled depending on whether you were using the in-line controls with an Android or Apple smartphone. In the new E80Cs (the C stands for ‘Compatibility’), the three-button remote does all the switching automatically, making the in-ears less fussy to use. The remote works intuitively, too, not missing a beat when you need to pause, skip tracks, change the volume or answer a call. The SoundMagic E80Cs don’t quite reach the same heights as the budget E10Cs, and would be hard-pressed to beat the formidable Sennheiser M2s at this price. They hold their own, though, thanks to a clean, organised and direct presentation that’s immediately rewarding. They’re also comfortable and easy to live with, which goes a long way when you’re looking for the perfect pair of in-ears. These SoundMagics may not be the very best you’ll hear at this price, but they’re definitely worth a whirl.